Caribbean Literary Heritage: who matters and who cares? On International Archives Day 2018, it seems important to reflect on how the region’s literary archives speak to the asymmetries of visible histories and to note (more optimistically) how collaborations between scholars, writers and archivists can be instrumental in shaping the future of the past. It is well acknowledged that during the colonial period, the archive was a powerful tool for legitimating certain lives, events and encounters, whilst obscuring others through its techniques of record-keeping. In a Caribbean colonial context, as elsewhere, literature became an important means of contesting the official archive and Caribbean writings began to act as a rights-bearing discourse that could help imagine national and regional identity into being. Trinidadian C.L.R. James’s 1934 play Toussaint Louverture: The Story of the Only Successful Slave Revolt in History; A Play in Three Acts and his related prose work of 1938, The Black Jacobins, present a forceful example of imaginative restitution and challenge. These works invested in literary forms to liberate the history of black struggle and agency associated with the 1804 Haitian Revolution. James’s achievement was to make imaginable the black protagonists of the revolution whose stories had been repressed within the official historical record of Europe. The Jamaican writer Una Marson scripted a similarly affirmative literary reimagining of black lives in the 1930s. Marson’s third play, Pocomania, was staged in Kingston in 1938 and dramatized its protagonist’s attachment to the African-inspired religion of Pocomania (Puk Kumina) and to the rituals of spirit possession, the balm yard, and ultimately to Africa – all of which were feared and reviled by colonial culture. Another important connection between C.L.R. James and Una Marson is that they both sailed to England, arriving in 1932. James arrived from Trinidad in March and spent several weeks in Bloomsbury before travelling to Lancashire where his friend the cricketer Learie Constantine was based. James’s essays about his immediate impressions of London, published in the Trinidadian Port of Spain Gazette, indicate his knowledge of metropolitan literary culture and his connections with the Woolfs. James brought two manuscripts with him to England: his novel Minty Alley (published by Secker and Warburg in 1936), and his political biography of the Trinidadian Labour Leader, The Life of Captain Cipriani: An Account of British Government in the West Indies, (first published by Coulton & Co. Ltd., a local press in Lancashire, in 1932, with an excerpt re-published by the Hogarth Press in 1933). For James, writing and politics remained dual paths on a singular journey to contest colonialism, give creative release to those lives it refused to recognize and insert himself and the West Indies into History. 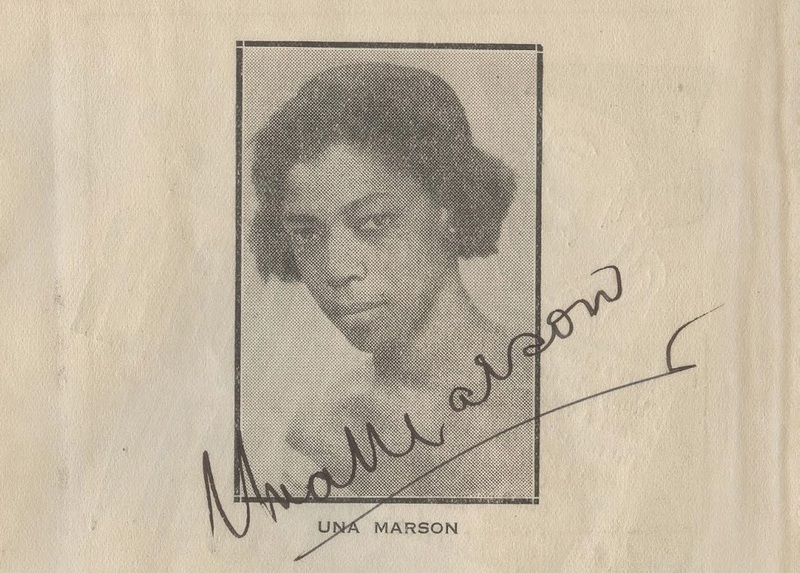 Marson arrived from Jamaica in May of 1932 having earlier that year staged her first play, At What a Price, at Kingston’s Ward Theatre and with two self-published volumes of poetry to her name. She took lodgings at the home of Dr Harold Moody, the founder of the League of Coloured Peoples, and took over responsibility for editing the League’s journal, The Keys. Like James, Marson was readily networked into emerging nationalist and anti-colonial networks. 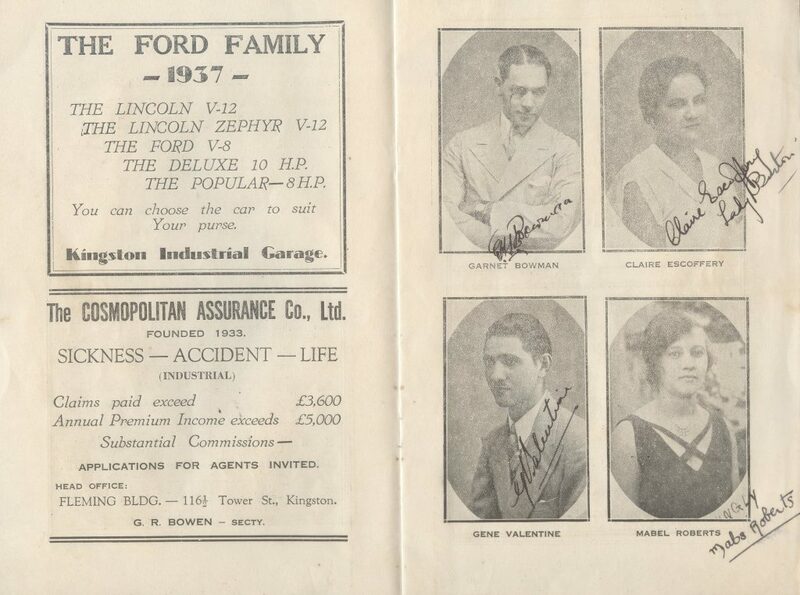 In 1933, At What a Price became the first all-black production in London’s West End and Marson afterwards wrote her second play London Calling that would premiere on her return to Kingston in 1937. It is hard to know how much creative work Marson wrote while in the UK because very little was published at that time, although there are poems and articles to be found within her papers. Perhaps curiously there are no records to show that James and Marson recognized each other as fellow Caribbean anti-colonials and writers, although we know that they shared networks and attended several of the same events. And, for all the similarities that I have implied about their literary careers and their shaping of Caribbean literary identities in the 1930s, their historical fates differed significantly. James’s writing received global attention and scholarly enquiry throughout his lifetime and continues to attract interest today. His works have been re-edited and re-published multiple times. James’s papers enjoy a significant global platform, indicating the remarkable reach of his travels and his expertise, as well as his overlapping identities as political theorist and writer. They can be found in the University of the West Indies, St Augustine; and the Quintin O’Connor Library; Oilfields Workers’ Trade Union, both in Trinidad and Tobago; the C.L.R. James Cricket Research Centre Library, University of the West Indies, Cave Hill, Barbados; the C. L. R. James Institute, New York; the Lilly Library, Indiana University; the Institute of Commonwealth Studies Library, London; with the largest holding acquired by Columbia University Library, New York, in 2007. These many locations map on to places James lived to a large degree, and they also indicate the recognized global significance of his writings and their value in the diaspora as well as in the Caribbean. Whilst James’s archive is dispersed, it is full, organized and accessible. Interestingly, the effort to gather together geographically dispersed collections is highlighted in the description of Columbia’s holdings which ‘reunite files and books from the writer’s residences in London and in Washington, D.C.’[i] The archive is also still accruing and Columbia are explicit about wanting to grow their collection. In 2012, Christian Høgsbjerg, a scholar researching in the archives of Jock Haston, a worker educator and fellow Trotskyist, at the University of Hull, UK, came across the earliest manuscript version of James’s Toussaint Louverture. In the case of C.L.R. James, the connectedness of political and intellectual traditions in Trinidad has led to some outstanding institutional collaborations and helped to connect his diasporic afterlives. In 2001, a conference to mark the centennial of James’s birth was organised by the University of the West Indies at St. Augustine, in collaboration with the Oilfields Workers’ Trade Union, the Centre for Caribbean Thought of the University of the West Indies, Mona, as well as US universities. The work of Una Marson matters considerably now to many Caribbean writers, scholars and readers. In part, this interest has been sustained by access to the range of her works and an increasing number of sources. All the same, the precarity of her papers and the arbitrariness of their recovery should not be forgotten, not least because there are very many women writers from the 40s and 50s still waiting for recovery. Neither, though, should we underestimate the power of scholarly conversations and connections in bringing hidden papers and writers to light. The region’s literary archives are, unsurprisingly, subject to the same complicated patterning of movements and dispersal as Caribbean peoples, equally multidimensional in their affiliations and attachments, and similarly subject to unequal acts of representation according to location, ethnicity, class and gender. Very many sources remain in private hands, rather than in institutional repositories. Some of these are stored in university offices, the treasured but concealed material legacies of individual doctoral research projects, while many others are in boxes at the homes of writers, their families or friends. These documents are a vital constituent of Caribbean literary archives and have the potential to thicken, invigorate and possibly transform constructions of literary heritage if they too can be made accessible. The project of surfacing, sharing and safeguarding the fuller literary history of the Caribbean is a daunting one, but it also has huge potential to connect scholars, writers, collections professionals, readers and others with particular local interests An open-access register of writers’ ‘papers’ and sources (both lost and found) has the value of expanding literary history, but it can also contribute to and animate literary heritage by capturing the changing commitments to writers of the past and surfacing what matters in the present about the region’s literary past. [ii] See Una Marson, Selected Poems, ed. Alison Donnell (Leeds: Peepal Tree Press, 2011) and Una Marson, Pocomania and London Calling, ed. Tanya Batson-Savage, introduction by Alison Donnell (Kingston, JA: Blouse & Skirt Books, 2016).